✅ Looking for the Best Dog Toys to keep your dog mentally stimulated? See the top rated toys here. 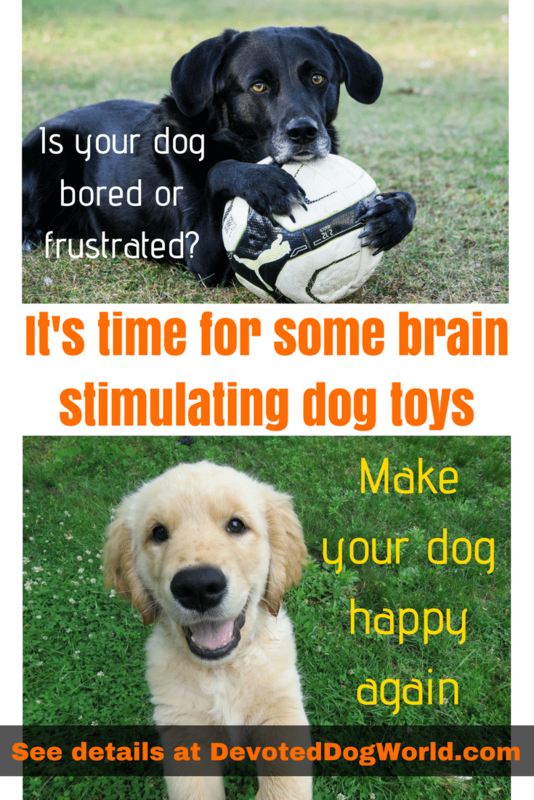 The dog toys will give you some quiet time for about 20 minutes at a time, but the dog brain training will give you a well-behaved dog all day long! Try it today. See all the details here. This is one of the best dog toys if you’re looking for a mentally stimulating puzzle for your pup. You hide the treats in the compartments and let your dog move the sliders, flip the lids with levers and lift up the cones to reveal the treats. This Trixie Pet Flip Board gives you bang for your buck. It’s not expensive and it’s high quality. This is one of the best smart dog toys. This puzzle game is one of the best dog toys for smaller breeds of dogs. But Labradors and German Shepherds have also been known to happily play with this game. If your dog is an excessive and aggressive chewer then you’ll need to supervise because this dog puzzle is made from plastic. If you’re unsure about this dog game and you’re not sure if it will suit your pup, see the video here of a dog solving the puzzle to get the treats (the dog is adorable to watch!). Every dog parent knows their own dog’s personality. If you take a look at the video you’ll be able to judge whether your dog has the interest, skill and aptitude for this type of puzzle. The rubber base is very good at keeping the game in place while your dog’s playing with it. The cones are designed to not be knocked out but rather they have to be lifted straight up. Your dog will lift these out with his or her mouth because he/she wants to get the treats. This is fun game to make your dog think about what he or she is doing to get the treat. This is one of those smart dog toys that will take a bit of time for your dog to work it out which is great because it keeps them occupied. When you first let your dog see the puzzle, choose the right time of the day. Obviously you don’t want to do it directly after he or she has been fed. If they’re hungry for the treats then this helps to encourage them to explore how to get them. This feeder puzzle is one of the best dog toys to be used for crate training or alone time to keep your dog busy. It can help to eliminate boredom. However, if your dog is an excess chewer, I wouldn’t leave any toy with him/her alone. You can also use it to play with your dog and spend time together. The puzzle is made from particleboard wood eco-friendly material and is good for their teeth. If you’re buying a feeder puzzle you need to be careful of the material it’s made from. Avoid anything that may become sharp if they chew it, like certain plastics. Like all dog toys you should expect your dog will want to chew this feeder puzzle. It is inexpensive so, personally, I would prefer to buy this less expensive puzzle and replace it rather than spending a lot on a more expensive puzzle that is still likely to get chewed but may contain dangerous plastic to make it more robust. The choice is yours but you’ll need to consider it before you buy. This is a large size ball for kicking. The ball is too large to fit in your dog’s mouth and this is the reason for the unique shape of the ball. The grooved design allows your dog to pick it up easily and bring it to you. Most of all, if you’re sick of picking up slobbery balls to throw to your dog, this is a great alternative. When you think of smart dog toys, you don’t always think of balls because they are such simple toy. But now you can use a ball that your dog needs to think about how to pick up. With its unique shape you can do more with it than an ordinary ball. You can kick this ball high or far and keep your dog entertained and exercised. The bright colors are a bonus, easy to see if it goes into long grass. This is one of the best dog toys because it is so much better than just a ball. If you already have dog balls, they’re probably the small ones. Personally, we’ve always had a lot of small dog balls and tennis balls in our house because they were easy to obtain or we already had them. Try this Chuckit ball and your dog might think it’s one of the best dog toys you own. This dog ball will give you many hours of fun. This is a dog frisbee toy is one of the best dog toys to be used by you and your dog together. The bright color looks great and is easily seen by dogs. Also, this is a durable dog frisbee made with a “Bionic” rubber material. It will give you hours of enjoyment with your dog. It comes in different sizes and the large Toss N’Tug is too big for small dogs so be sure to get the correct size. The Toss N’Tug floats in water so its safe to use near lakes or pools. Like any dog toy, this gets chewed. However if you’re looking for one of the best dog toys that is more durable than most then you’ll like this one. It tends to last longer with smaller dogs than large ones. But I guess that’s the same with most dog toys. If you don’t have a treat ball, it’s time to get one. Treat balls are one of the best dog toys if you get the right one. This interactive food dispensing toy provides your dog with lots of enjoyment. Rather than seeing it as just a toy, you should see its health benefits. This is because it slows down your dog’s eating which is better for their digestion and health (see more about Slow Feeder Bowls for Dogs here). Also, good to know, there are adjustable feeding difficulty levels to suit your dog as he or she progresses with the toy. The OurPets IQ Treat Ball is a very popular toy with dog owners. At the time of writing it has an average rating of 4.1 stars out of 5 for over 6,000 reviews on Amazon – that’s a lot of happy customers! This treat ball is ideal for small to medium sized dogs. There are different diameter balls available and they come in different colors. You can buy individually or in a 2 pack. The treat ball twists apart into 3 pieces for easy cleaning. The treat ball keeps your dog mentally stimulated and physically active. Warning: do not buy this treat ball for very small or toy-sized dogs because they might get their jaw stuck in the opening. Even the small size of ball is probably too big to prevent this happening. So, if you have a small breed of dog, please be sure to check the size of the opening compared to the size of your dog’s front jaw to make sure the opening is small enough so they can’t get their teeth and jaw into it. For dogs that are not a very small breed, this treat toy is great for occupying their time and giving them much needed mental stimulation. This is a very durable treat dispensing toy if your dog is a chewer. The toy is made in the USA and is 100% guaranteed against dog damage. This is one of the smart dog toys that won’t get destroyed. And it’s dishwasher safe and BPA-free. While it is mentally stimulating for your pup, it is also good to extend the time they take to eat food (if you take a look at the reasons for using Slow Feeder Dog Bowls, you’ll realize how important it is to slow down your dog’s eating habits). You can use a variety of treats in this toy. Items like kibble, apple slices, jerky strips, carrot sticks, nut butters or dental sticks are all ideas for including in this Qwizl toy. Qwizl is available in 2 sizes and 3 colors. The two sizes have different size openings. The small Qwizl has an opening that can accommodate approximately 1/2″ or smaller treats, while the large Qwizl can accommodate approximately 3/4″ treats. This Qwizl treat toy is one of the best dog toys because it is high quality and durable. It provides your dog with a focused activity and you can experiment with lots of different treats to find your dog’s favorite or mix it up day-to-day. This treat dispenser is different to the last two because it has moving parts making it an ideal smart dog toy. The Dog Tornado will definitely slow down your dog’s eating and give him or her a mentally challenging task. The parts turn and the little white bone caps need to be lifted out by the dog to get to the treats. This dog toy will keep your pup entertained and fed. The puzzle is engaging while your dog is learning new skills to solve the challenge and get to the treats. The uneven bone puzzle pieces either work to challenge or assist your dog, making it great for holding your dog’s attention. There are 12 treat compartments. 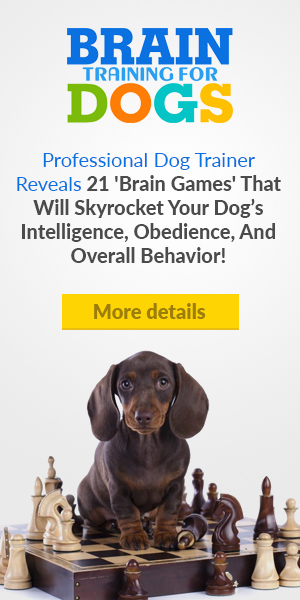 ✅ Curious about Dog Brain Training Games? Your dog will become obedient and well-behaved using completely force-free dog-friendly training. 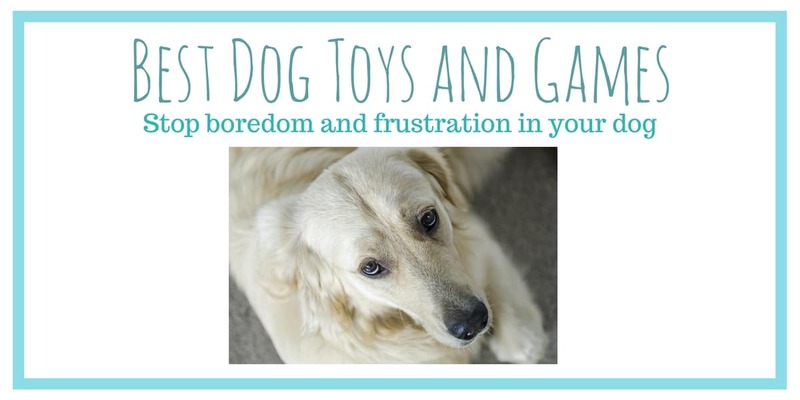 Brain training stops your dog becoming bored or getting frustrated. Give your dog the happiness he/she deserves. Click here for dog brain training.